The Hollywood Reporter has published an article examining why Tom Cruise’s Mission: Impossible film series remains popular. 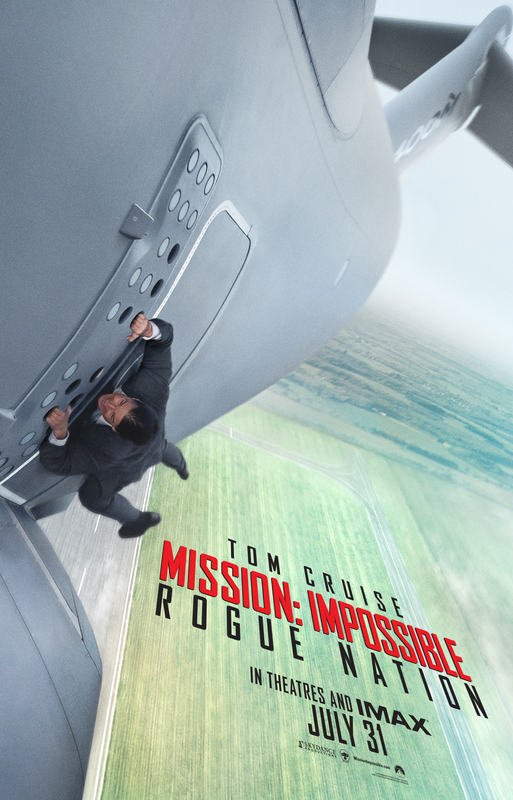 Mission: Impossible Rogue Nation, the newest film in the series, is due for release on July 31. It’s the fifth entry in 19 years. Here’s an excerpt from The Hollywood Reporter story about the M:I series differs from other film franchises. The initial M:I film in 1996 included Jim Phelps (Jon Voight), the lead character played by Peter Graves for six of the seven seasons of the 1966-73 series. But that movie turned Phelps into a villain, with Cruise’s Ethan Hunt vanquishing Phelps. 2011’s Mission: Impossible Ghost Protocol, directed by Brad Bird, actually dug into the original show for some major sequences (albeit bigger and better versions for the screen). Paramount, the studio that releases Cruise’s M:I movies, originally scheduled the new film for Christmas but moved it up to the summer. Studios generally don’t move up movies on the schedule if they don’t believe in their prospects. We’ll soon see whether star-producer Cruise still has his golden touch. Since the 9/11 terrorist attacks of 2001, dark has been fashionable at the movie box office. Climate change, wars and other calamities since then have reinforced that. With Tomorrowland, director Brad Bird pleas for optimism. His second live-action film is a Valentine’s to dreamers in the form of a science fiction/fantasy story. Bird’s 130-minute movie, which he co-wrote with Damon Lindelof, isn’t a Pollyanna endeavor. It more than acknowledges the challenges facing the world. Still, it has a simple message: We can’t just give up. Tomorrowland is a place created by dreamers including Tesla, Verne and Eiffel (with Edison taking credit). In the course of the film, we meet former boy inventor Frank Walker (George Clooney), a disillusioned former dreamer, and Casey Newton (Britt Robertson), a young woman who still is one. At the start of the movie, Walker is trying to describe events while the more optimistic Casey keeps interrupting his narrative. Bird & Co. doesn’t tip his hand. It takes a while for the story to unfold and the audience needs to pay attention. Eventually, a confused Casey finds her way to Tomorrowland. Along the way, she encounters friendly robot Athena (Raffey Cassidy) and a number of hostile ones. She’s led to Walker who, we learn, found Tomorrowland at the 1964 World’s Fair in New York but who later was exiled. Early in the proceedings, we see a display with a countdown. As things stand, something bad is going to happen, but it takes some time to find out what. Walker and Casey, fighting off hostile robots, manage to get to Tomorrowland. This is a story that couldn’t be told — at least in live-action form — without computer effects. Late in the middle portion of Tomorrowland, things threaten to get away from Bird — similar to how Christopher Nolan’s Interstellar movie got away from him. However, the director pulls things together in the film’s final act. When all is said and done, the director delivers an emotional and human ending. Here, GCI is a tool. An elaborate tool, to be sure, but one that serves the purpose of the story and not an end to itself. 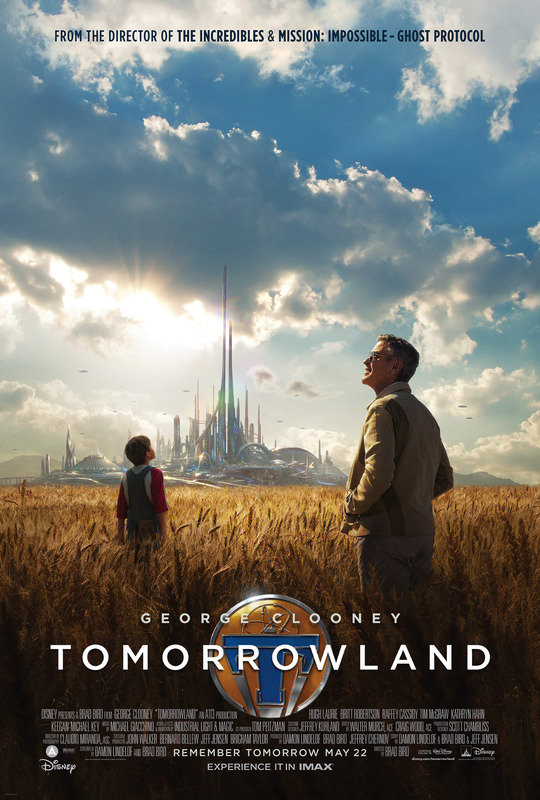 Summer films are supposed to be “popcorn movies,” and that applies to Tomorrowland. Yet its strong final act provides an additional dimension. Having a human story and computer effects aren’t mutally exclusive. GRADE: A, mostly because of the powerful final act. Does M:I 4 make a peace offering to fans of the TV show? We watched Mission: Impossible — Ghost Protocol (or M:I 4 for short) this week. Maybe it was a coincidence, but it seemed as if the film, starring Tom Cruise and directed by Brad Bird, was maybe, kind of attempting to apologize to fans of the original 1966-1973 Mission: Impossible series. A bit of background. Some fans of the show strongly objected to Cruise’s first M:I movie in 1996, which turned Jim Phelps (Peter Graves in the show, Jon Voight in the movie) into the story’s bad guy who eventually gets dispatched, leaving Cruise’s Ethan Hunt as Mr. Impossible Missions Force. Also, in the Cruise version of M:I, Ethan Hunt did it all — mastermind, disguise expert, etc., etc. The IMF was more of a Greek chorus cheering Ethan Hunt on than a real team. Early in the film, Ethan Hunt and IMF team member Benji (Simon Pegg) have infiltrated the Kremlin. They bring with them a high-tech screen that they can hide behind. The guard down the hall will look at the screen and see everything as they should be. This is remarkably similar to The Falcon, the only three-part story of the original series, which aired in season four. In that story, Phelps hides behind a projection screen so he can free a prisoner. M:I 4’s version has more bells and whistles but this certainly appears to be more or less the same device. Later, former IMF field agent-turned-analyst Brandt (Jeremy Renner) wears a metallic suit under his clothes, dives into a shaft headed toward massive fan blades that keep a massive computer installation cooled. A robot craft controlled by Benji stops Brandt from falling into the blades using magnetic power. Brandt is suspended mere inches from the blades, evoking a moment in Cruise’s first M:I film. But Benji then steers the robot craft (with Brandt still suspended above it) through a series of shafts. Benji can also raise or lower Brandt as needed. That device is a larger, more elaborate version of a device Barney Collier (Greg Morris) rigged up in a two-part episode called The Bunker that ran in the third season of the television series. In that show, Barney had a small, radio-controlled saucer that could navigate through ventilator shafts as part of a typically complicated IMF plan. The saucer had to descend and rise as it traveled through the shafts. The device didn’t really work and in some shots you could see the wires holding it up. MI:4, thanks to 21st Century special effects, is more elaborate. Finally, after the mission has been completed successfully, Ethan Hunt is listening to an audio recording related to his next assignment (should he decide to accept it). It turns out a terrorist group calling itself “The Syndicate” is making trouble. The Syndicate was used in the M:I television series, and other 1960s and ’70s shows, instead of the word Mafia. Syndicate bosses of that time also tended to have Anglicized names. M:I always had at least some episodes featuring The Syndicate as villains and opted for Syndicate story lines pretty much exclusively in the sixth and seventh season as an economy move (no need to make up signs for fictional European countries, for example). But the biggest homage to the TV show comes in the film when Ethan Hunt attempts to complete the mission by himself and can’t. He actually needs a team and for team members to blend their talents. As we said, all of this may be coincidence. But all of the above elements comprise an awful lot of coincidence.